If using natural methods is really important to you whatever you are trying in life, then Natural Mother and their great DVD's are here for you! I talked about their great Acupressure & Breathing for Childbirth DVD before but today I want to introduce to you their Acupressure for Fertility DVD. Natural Mother was founded to help educate the community on the benefits of Acupressure and Organized Breathing, to enhance fertility naturally and prepare women for a natural childbirth experience. With their Acupressure for Fertility DVD, they combine the use of Fertility Acupressure points with information on nutrition and lifestyle to increase your fertility. So if you feel like you have been trying everything to get pregnant, try to relax, try Acupressure and this great DVD from Natural Mother, and good luck on your journey!! 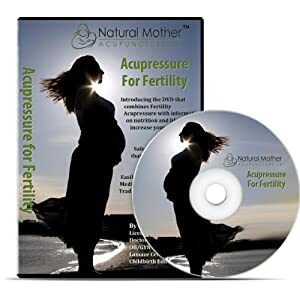 Buy It: You can purchase Acupressure for Fertility DVD from the Natural Mother website. Really Great DVD. It's full of tips and ideas to enhance fertility and helping in successful born.